Large parking lot adjacent to the shop, behind Millie’s Restaurant. Our shop is a perfect rendezvous and first stop for anyone that wants to organize a carpool. 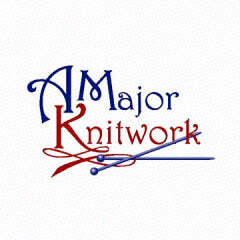 A-MAJOR-KNITWORK, located in the heart of the San Fernando Valley, is a-major-yarn shop for all your knitting and crocheting needs. The shop sells the latest high fashion yarns alongside high-quality basic yarns and offers a large selection of needles, accessories, books, leaflets, bags, and buttons. Owned by a mother-daughter duo, we are known for our sweaters, vests, and for being "crochet friendly.” We offer Wi-Fi, classes, knit-alongs, crochet-alongs, social knitting, technical help, custom charting, and more.